Amy Sue Bix is Professor of History at Iowa State University and director of ISU’s Center for Historical Studies of Technology and Science. Her 2013 book ‘Girls Coming to Tech!’: A History of American Engineering Education for Women (MIT Press) won the 2015 Margaret Rossiter Prize from the History of Science Society. 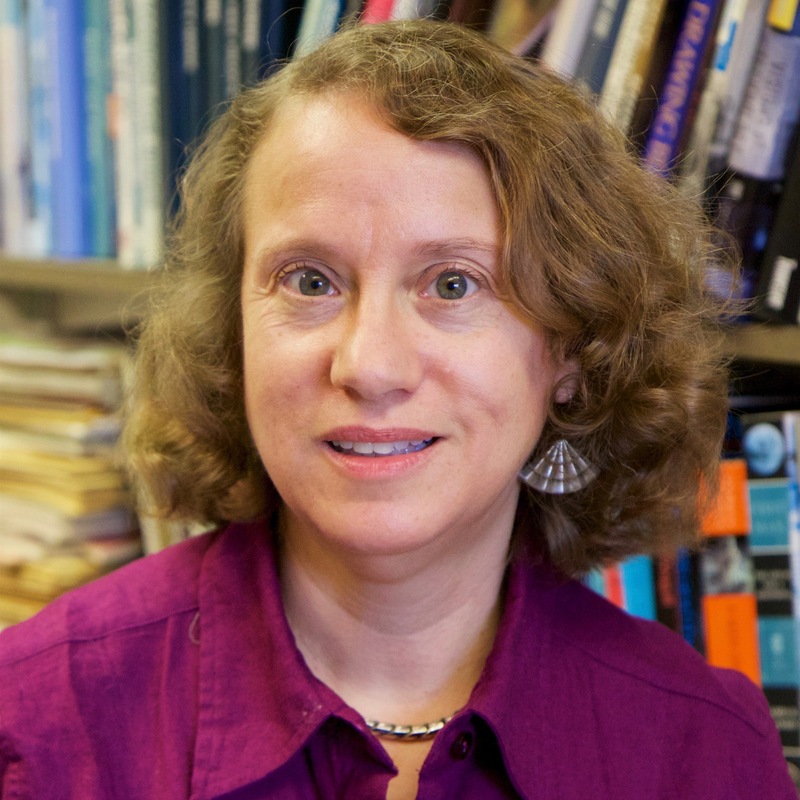 Bix’s work on gender and engineering history received two other prizes: 2015’s IEEE-USA Award for Distinguished Literary Contributions Furthering Public Understanding and the Advancement of the Engineering Profession, and the 2014 Betty Vetter Award for Research from WEPAN (the Women in Engineering ProActive Network). Bix has written widely on many topics in the history of science, technology, and medicine, including the role of religious belief in shaping technology-centered debates and practices in Orthodox Judaism. This previous scholarship provides the foundation for her new study of the history and current interest in ideas about a “technology Sabbath.” This topic also connects to Bix’s ongoing interests in the history of technology, work, and leisure, including her book Inventing Ourselves Out of Jobs? : America’s Debate over Technological Unemployment, 1929-1981 (Johns Hopkins University Press, 2000). This project explores the religious, social, and popular meanings of the twenty-first-century movement encouraging people to adopt a “technology Sabbath,” regular breaks from smartphone and Internet use. This movement originated in dialogue with Modern Orthodox Judaism, whose rabbis had long debated how to reconcile technological change with traditional values in observing the Sabbath. Torah verses and interpretations define the Sabbath as the essence of Jewish faith, a uniquely sanctified day honoring God’s creation, a time to lay aside “work” and celebrate with rest, delicious meals, and time dedicated to family and friends. As a result, Judaism offers particularly interesting intersections of religion, modernity, and technology, highlighting personal and community choices about how to value or adapt tradition amidst far-reaching change. A twenty-first-century sense of hyper-connectedness has convinced many that “information overload” makes it imperative to suspend digital immersion once per week. Blaming technological ubiquity for distraction, stress, and burnout, advocates recommended stepping away to restore balance. A 2003 “Sabbath Manifesto” advised people to “avoid technology” that day, reserving time for family and friends, nature, and community. The Jewish group “Tech Tribe” regularly organizes tech-free Friday- night dinners at Comic-Con and the South by Southwest Festival. Development of the “technology Sabbath” philosophy quickly gained support from conversations about “sacred time” in Christian circles and among modern Muslims. Ideas for “Shutoff Sundays” and “the unplugging challenge” have now extended widely into secular society, reflecting and promoting a quest for twenty-first-century meaning and work/life/community balance. For many Americans, recent decades have left workplaces, homes, and lives increasingly technology-intensive, economically tenuous, and personally stressful. Anxieties over technological pervasiveness speak to long-standing concerns about balancing work and personal time, individuality and community, change and security. Threats of “technological unemployment,” mechanisms of “just-in-time” scheduling, and “always-on” communication exact painful tolls on numerous American workers. By contrast, France legally guarantees employees a “right to disconnect” at night, on Sundays, and on vacation, as do many German employers. Interest in “unplugging” has grown rapidly among Americans concerned about these human costs and the loss of real-life connections. Seeking to regain control of their time in an instant-response world, advocates have developed “digital detox” apps, created organizations, and written widely about the benefits of going on a temporary “tech fast.” Hollywood celebrities have declared their joy in disconnecting for weeks at a time, Silicon Valley veterans have campaigned for the philosophy of “Time Well Spent.” Startups creating technology to give people control over tech have become trendy. As people choose to observe a “technology Sabbath,” our high-tech economy has reinvigorated thought about the traditional values of weekly rest, family time, and the cultivation of human relationships. This project employs oral-history interviews in tech circles, religious communities, and places where these connect, to analyze how the “technology Sabbath” movement has drawn such attention and why it is significant.